Among many of the top Android mobile phone manufacturers in the world, Samsung is the only one selling their devices officially in Bangladesh. So the benefits are clear cut. They will give you1 year warranty with every device. So that’s why people are choosing Samsung Android phone more than others. 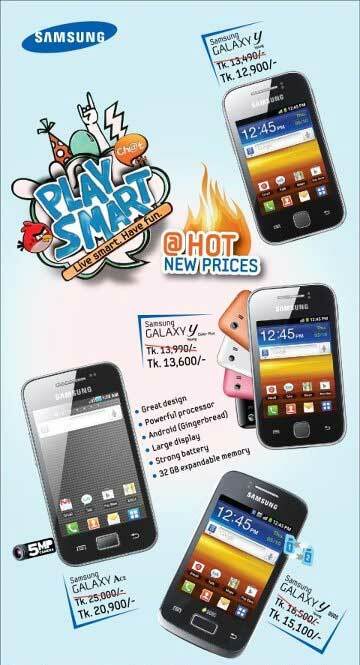 Samsung is currently selling all of their top smartphones in Bangladesh including Galaxy S III. And recently they are lowering their entry level Android Phone prices quite a lot. Hereby I only mention the previous and current price of the Samsung handsets.